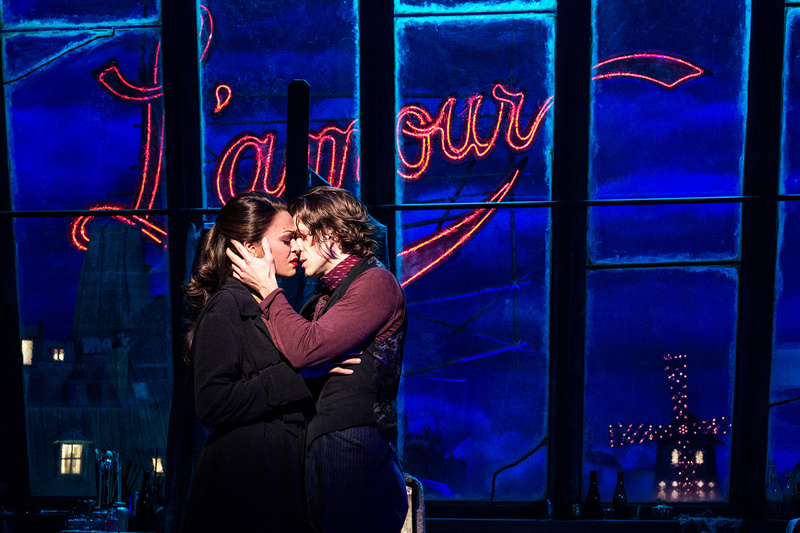 Karen Olivo & Aaron Tveit in "Moulin Rouge!" The highly anticipated new musical Moulin Rouge! 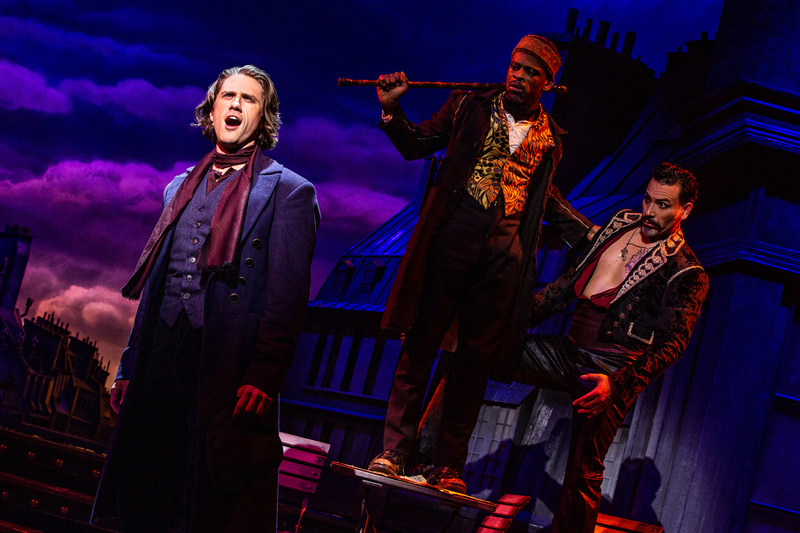 has been wowing audiences at Boston's Emerson Colonial Theater since July 10, and now there are beautiful production photos that will transport you to Paris. 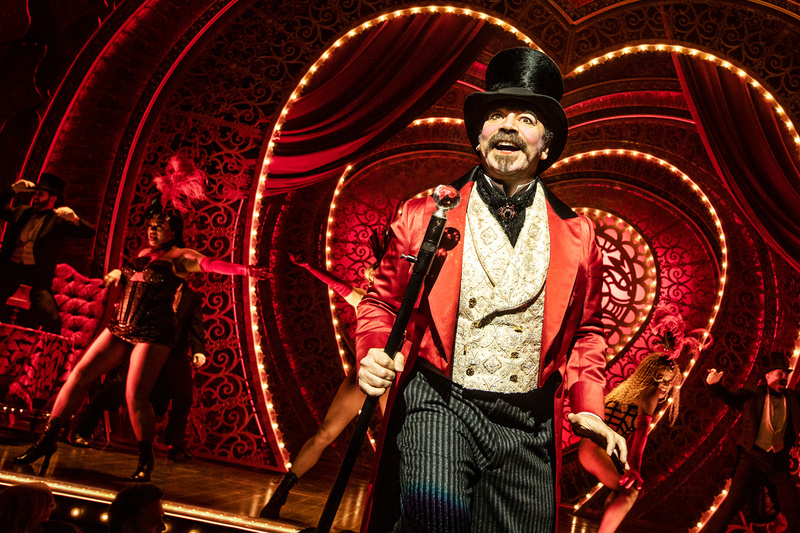 After a special gala performance in honor of the theater's grand re-opening, Moulin Rouge! runs through August 19. Based on the 2001 Baz Luhrmann film of the same name, the musical stars Broadway favorite Aaron Tveit and Tony winner Karen Olivo as star-crossed lovers. The show features direction by Alex Timbers, a book by Tony winner John Logan and choreography by Sonya Tayeh. Check out the photos below to catch a glimpse! Karen Olivo and Aaron Tveit as Satine and Christian. Danny Burstein as Harold Zidler. Aaron Tveit, Sahr Ngaujah and Ricky Roja as Christian, Toulouse-Lautrec and Santiago, respectively. 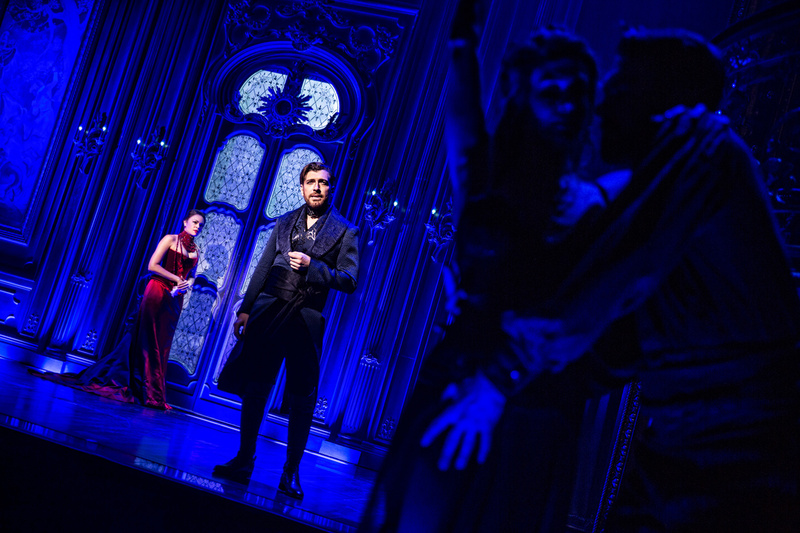 Karen Olivo and Tam Mutu as Satine and the Duke.